NEW YORK, NY--(Marketwired - Jul 12, 2016) - Hotel Arts Barcelona, in a decidedly meta move indicative of the luxury Barcelona city resort, is encouraging guests to celebrate the art of Catalonia on the occasion of momentous openings and current happenings in 2016. 2016 coincides with the 90th Anniversary of artistic icon Antoni Gaudi's Death. Through late August, Hotel Arts Barcelona pays homage to his contributions to the art landscape through the addition of a temporary library and an inspired cocktail. In addition, hotel concierges are able to arrange traditional Gaudi tours within city limits for interested guests, to visit iconic sights such as La Sagrada Familia and Casa Battló. True art connoisseurs can enquire about a visit to another, lesser-known Gaudi attraction, Nau Gaudí. Less than 20 miles outside of Barcelona, designed by the artist at age 26. Today, its rustic interior showcases contemporary Catalan art with over 1,000 curated pieces in the Carmen and Lluís Bassat Collection. Considered "one of the most representative resources of the state of Catalan art in the second half of the 20th century" it is a must-visit for those interested in modern day art from the region. For the first time in history, since it was erected in 1905, La Casa Terradas will open to the public in the late summer of 2016. Designed by Josep Puig i Cadafalch, it is a reflection of the Modernisme Art Movement in Catalonia's past. Reminiscent of a castle, the attraction will showcase arches and columns decorated with floral and abstract motifs, among other notable art and design elements from its time. Transportation to the highly anticipated, artistic venue will be arranged for guests of the luxury Barcelona beach hotel upon request. Looking ahead, September 23 of 2016 through January 15 of 2017, the Museu Nacional de Art de Catalunya will open a temporary exhibition of another modernist art figure. Lluïsa Vidal (1876-1918), was an illustrator, among other talents, and was also renowned for her portrait painting. Influenced by Spanish classical masters, her work captured raw emotion and often focused on the life of women through the eyes of a woman. 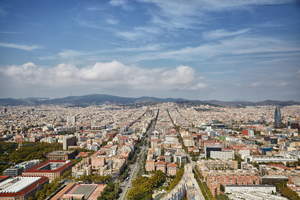 In addition to attractions and museums, Hotel Arts Barcelona showcases contemporary Catalan art. Its walls are graced by major artists including: Manolo, Valdés, Rafols-Casamada, Broto, Feito, and Xavier Corberó, among others. The property overlooks a gleaming fish structure, the "Peix" by the renowned Frank Gehry. Hotel Arts Barcelona boasts stunning panoramic views from its unique location on the waterfront, in the heart of the city's Olympic Village area. Designed by renowned architect Bruce Graham, Hotel Arts features 44 floors of exposed glass and steel, making it a prominent feature of Barcelona's skyline. The waterfront hotel's 455 rooms and 28 exclusive duplex Apartments feature sleek, modern design complemented by an impressive 20th century collection of works by contemporary Catalan and Spanish artists. The only hotel in Spain featuring two Michelin-starred chefs, Hotel Arts is one of the premier culinary destinations in Barcelona with Enoteca and Arola restaurants. Guests seeking a serene escape may enjoy signature treatments in the 43rd floor spa. Recognized as one of the top business hotels in Spain, Hotel Arts provides over 3,000 square-feet of function space overlooking the Mediterranean in Arts 41, for board meetings and conferences as well as social events, weddings and celebrations. The hotel offers an additional 24,000 square-feet of function space, with the main meeting space located on the lower ground and second floors. For more information, please visit: http://www.ritzcarlton.com/barcelona. The Ritz-Carlton Hotel Company, L.L.C., of Chevy Chase, Md., currently operates more than 90 hotels in the Americas, Europe, Asia, the Middle East, Africa, and the Caribbean. More than 30 hotel and residential projects are under development around the globe. 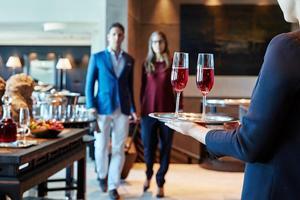 For more information or reservations, visit the company web site at www.ritzcarlton.com, for the latest company updates, visit news.ritzcarlton.com and to the live conversation, #RCMemories. The Ritz-Carlton Hotel Company, L.L.C. is a wholly-owned subsidiary of Marriott International, Inc. (NASDAQ: MAR). Hotel Arts Barcelona is one of the major luxury hotels in Barcelona, located on the beach and the Mediterranean seafront. Hotel Arts Barcelona, a Barcelona luxury hotel, is situated in the city center of Barcelona, one of the world capitals of modernist art and architecture. 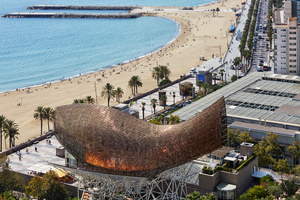 Located right on the Barcelona beach, Hotel Arts Barcelona overlooks the golden fish sculpture by architect Frank Gehry. At Hotel Arts Barcelona, Club guests can enjoy a private library and a signature cocktail, inspired by Antoni Gaudi, one of the major artistic icons of Barcelona. Explore the luxury accommodations at Hotel Arts Barcelona. 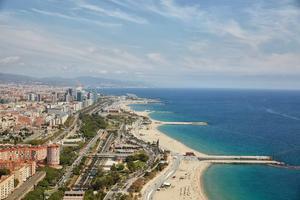 Discover exciting hotel packages and offers at Hotel Arts Barcelona.